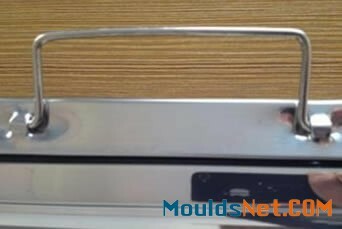 Baffle range hood filter, also called baffle grease filter or grease baffle filter, is a kind of range hood filter in a range hood ventilation system. 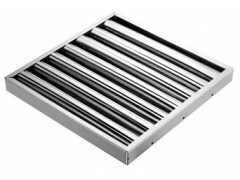 Baffle range hood filter is made of aluminum, stainless steel and galvanized steel. The layers of roll-formed baffles are designed to catch oil smoke, prevent oil and flame, making the kitchen clean and safe. Baffle range hood filter has a highly effective (approx. 94%) oil smoke purification and fireproof function. 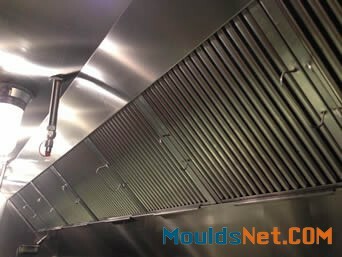 Three or more hood filters are needed in a range hood and they are widely used in domestic kitchen, kitchens in restaurant, dining hall in government, school, etc. 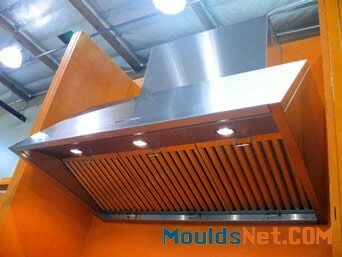 Baffle range hood filter is made of stainless steel, heavy duty aluminum steel or galvanized steel. The rigid structure ensures the filter durable. Stainless steel grease filter has anti-corrosion, anti-rust, easy-to-wash property. Aluminum grease filter is lighter for easy handling. Galvanized grease filter has smooth surface and won't stain. Withstand high temperature ranging from 250°F to 700°F. High efficient oil smoke purification and fireproof function. Baffle-design filters accelerate the oil smoke flow speed and prevent oil dripping into the food. The baffle style filter is beautiful and sleek. 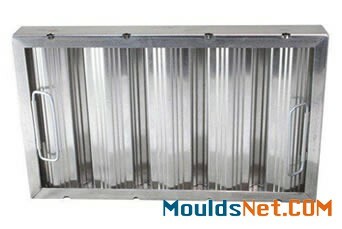 Standard size of filters fit into standard range hoods. Easy to install and remove from the range hood with handles. Easy to wash with brush and detergent in hot water. Environmentally friendly and energy efficient. Low maintenance and economical in price. 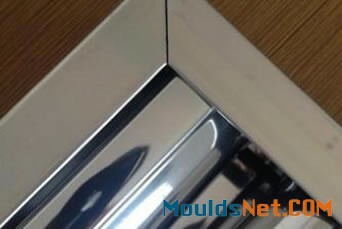 Material stainless steel 201/304/430, aluminum, galvanized steel. Normal size (W × H × D) (mm) 390 × 390 × 48, 395 × 395 × 48, 395 × 495 × 48, 406 × 254 × 50, 406 × 305 × 48, 406 × 406 × 48, 406 × 508 × 48, 406 × 635 × 48, 490 × 490 × 48, 495 × 495 × 48, 495 × 395 × 48, 495 × 395 × 45, 500 × 500 × 25, 500 × 500 × 30, 500 × 500 × 48, 508 × 254 × 48, 508 × 406 × 48, 508 × 635 × 50, 508 × 635 × 48, 609 × 609 × 50, 625 × 395 × 48, 625 × 495 × 48, 635 × 508 × 48, 635 × 406 × 48, etc. Weight (kg) (according to the size) 2.49, 2.72, 2.95, 3.18, 3.63, 3.86, 4.65, 5.22, 5.44. Packed in a waterproof polybag then into carton with 5 - 6 pieces. Then load them onto a pallet with 20 - 30 boxes. Baffle grease filter consists of two layers of stainless steel, aluminum or galvanized steel V-shaped baffles and fixed by sturdy frame with heavy rivets. Baffle grease filter can also be constructed with handles for easy removal. The handles are available in lock type handle, bail handle and rigid handle. When the air goes through the V-baffle system, it undergoes a series of compression, expansions and pressure changes. The heavy grease is deposited safely and quickly on the baffles while the grease-free air passes through the filter and up to the exhaust duct. The baffle's smooth surface enables the collected grease to run off into collection troughs without dripping on food, utensils or burner surfaces. The baffle grease filter needs cleaning regularly to make sure it works well. It can be soaked in hot water and washed using detergent, or can be washed in the dishwasher. 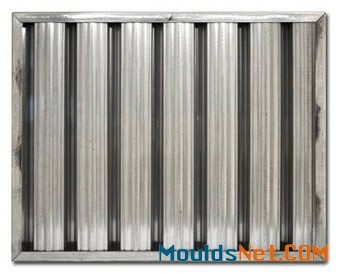 Baffle range hood filter is mainly installed to range hood system widely applied in domestic kitchen, restaurant kitchen, dining halls in government, school and many places wher there are kitchens.